Copyright is a form of protection given to the authors or creators of "original works of authorship," including literary, dramatic, musical, artistic and other intellectual works. Copyright law in India is governed by Copyright Act, 1957. Copyright Act reflects the law and work of many of the international conventions like Agreement on Trade Related Aspects of Intellectual Property Rights (TRIPS), Berne Convention for Protection of Literary and Artistic Works (1886), Universal Copyrights Convention (1951), Rome Convention for the Protection of Performers, Producers of Phonograms and Broadcasting Organisations (1961) and World Intellectual Property Organization. As per section 13 of the Copyright Act, the author is considered as the first owner of the copyright. However in case works made in the course of an author's employment under a "contract of service" or apprenticeship, the employer is considered as the first owner of copyright. Also in the case of Government work, the Government shall be the first owner. However, the ownership lies with the employer or government, as the case may be, only in the absence of an agreement to the contrary. Registration of Copyright – Whether Compulsory? Under Indian law, registration is not a prerequisite for acquiring a copyright in a work. A copyright in a work is created when the work is created and given a material form, provided it is original. The Register of Copyright acts as prima facie evidence of the particulars entered therein. The documents purporting to be copies of the entries and extracts from the Register certified by the Registrar of Copyright are admissible in evidence in all courts without further proof of original. Thus, registration only raises a presumption that the person in the Register is the actual author, owner or right holder. Original literary, dramatic, musical and artistic works – As per section 22 of the Copyright Act, the duration is lifetime of the author/artist until 60 years from the beginning of the calendar year next following the year in which the author/artist dies. Literary, dramatic, musical and artistic works (anonymous or pseudonymous) - As per section 23 of the Copyright Act, the duration is 60 years from the beginning of the calendar year next following the year in which the work is first published. Photographs, Cinematograph films, Sound recording, Government work, works of public undertakings, works of international organizations – As per sections 25-29 of the Copyright Act, the duration is 60 years next following the year in which the work is published. Anyone who exploits any of the exclusive rights of copyright without the copyright owner's permission commits copyright infringement. If a lawsuit is brought in a court, the infringer will have to pay the copyright owner the amount of money the infringer made from using the work or that the owner would have made if the infringement had not happened. 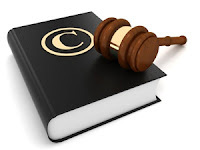 In order for a court to determine that a copyright in a work has been infringed upon it must find that: (a) the infringing work is "substantially similar" to the copyrighted work, and (b) the alleged infringer had access to the copyrighted work -- meaning they actually saw it or heard it. There are no clear rules for deciding when "substantial similarity" exists between two works. Courts look for similarities in appearance, sound, words, format, layout, sequence, and other elements of the works. Eastern Book Company v. Navin J.Desai [Delhi High Court, 9-March-2001] - It is open to everybody to reproduce and publish the government work including the judgment/ order of a court. However if a person by extensive reading, careful study and comparison and with the exercise of taste and judgment has made certain comments about judgment or has written a commentary thereon, may be such a comment and commentary is entitled to protection under the Copyright Act. Godrej Soaps (P) Ltd v Dora Cosmetics Co. [Delhi High Court, 23-April-2001] - Where the carton was designed for valuable consideration by a person in the course of his employment for and on behalf of the plaintiff and the defendant had led no evidence in his favour, the plaintiff is the assignee and the legal owner of copyright in the carton including the logo. Krishika Lulla & Others v. Shyam Vithalrao Devkatta & Another [Supreme Court, 15-October-2015] – No copyright subsists in the ‘title’ of literary work.